It's Friday everyone!! Wooohoo!! Gotta get down and all that. Time for another factual Friday and I thought it'd be cool to write about some of my fave movie facts. These are all definitely true too, just so you know I'm not lyin'! 1. 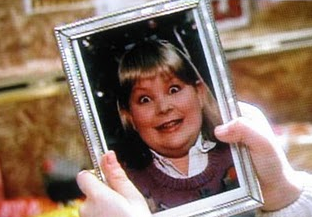 In Home Alone, the picture Kevin finds of Buzz's girlfriend is actually a boy in a wig. Chris Columbus thought it'd be too mean to make fun of a girl like that. 2. During just one lunch break, the animators at Pixar came up with the ideas for A Bugs Life, Finding Nemo, Wall-E and Monster's Inc! Wooow!! 3. In The Beatles feature A Hard Day's Night, the band's name isn't mentioned once. 4. In Charlie And The Chocolate Factory, Tim Burton had 40 squirrels trained to crack nuts, as he wanted it to be as life like as possible. 5. In Pulp Fiction, every time John Travolta is in the bathroom, something bad happens. Random one I know but I still think it's cool! 6. Ed Norton added so many changes to American History X, director Tony Kaye wanted his name changed to Humpty Dumpty in the credits. 7. 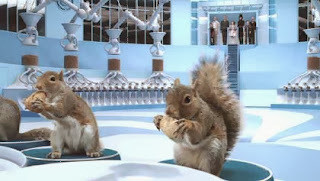 The Mexican restaurant in Anchorman is called Escipumos en su Alimento, which translates to "we spit in your food." 8. Bollywood produces over 800 movies a year! 9. Humphrey Bogart never said "Play it again, Sam." In Casablanca. 10. The first time Michael Caine saw Heath Ledger perform as The Joker, he was so taken aback that he forgot his lines. Understandable! Both pics are from IMDB so hat tip to them for being probably the best movie site ever! Hope you enjoyed guys! Have an amazing weekend!